Universal stores and Hispanoamericana University will host job fairs in coming days with the goal of hiring 1,300 people for permanent and seasonal posts. 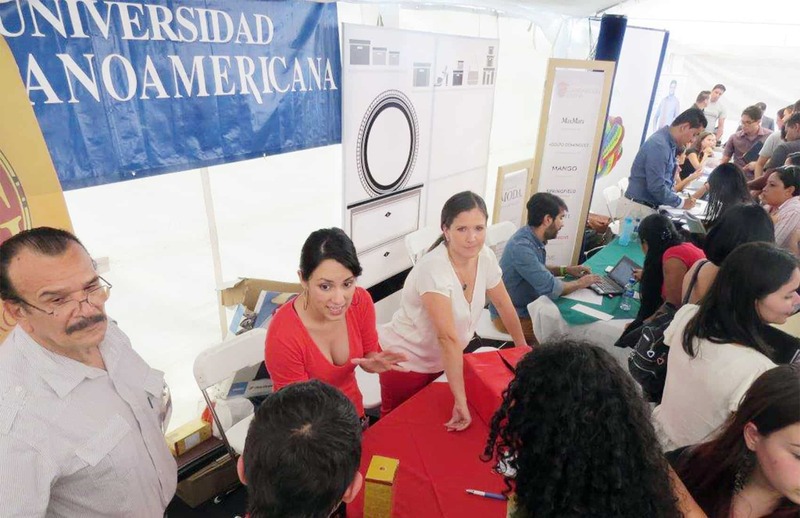 The fair at the university is scheduled for July 9-10 at its campus in Tibás, northwest of San José. Entrance is free. A total of 30 companies will be offering 1,000 technical and professional jobs. Most of the posts require fluency in a second language, and participating companies are seeking staff who speak English, French, German or Portuguese. Recruiters are seeking sales executives, network executives, web developers, java software developers, software testers (QA), customer service reps, administrative assistants, systems engineers, technical support, bilingual specialists, database administrators, financial analysts, call center agents with advanced English, electronic engineers, project managers, marketing executives and others. Companies will accept résumés in both digital and printed formats, and organizers have set up information kiosks for questions about participating companies. Visitors will be offered free lectures from human resource specialists, have their English proficiency tested and receive free counseling on labor issues. Among participating companies are: Amazon, EPA, Sykes, Pizza Hut, Oracle, Hewlett-Packard, ITS, Credomatic, Starbucks, Unilever, Credix, Grupo Multivex, Search, Renaware, Eurociencia and Teleperformance, among others. Universal also will hold an annual job fair from July 28-29, with 300 seasonal posts available at stores. The fair takes place at Centro Colón in downtown San José, from 9 a.m.-3 p.m.
Posts are available for reception, information, sales, cashiers, maintenance, decoration and others. Those interested should bring a printed résumé, a recent photograph, two recommendation letters and a criminal background check.